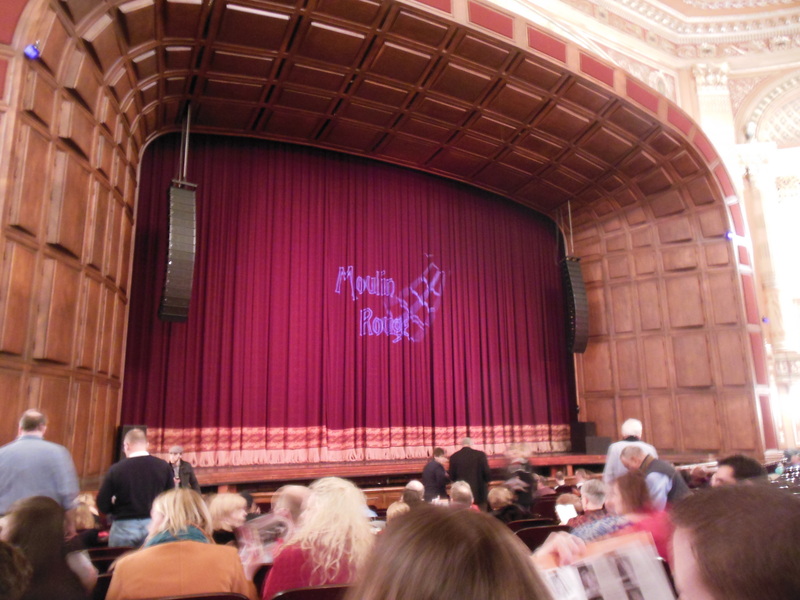 On Valentine’s Day, “Moulin Rouge – The Ballet” made its Pittsburgh debut in a performance by Pittsburgh Ballet Theatre (PBT). 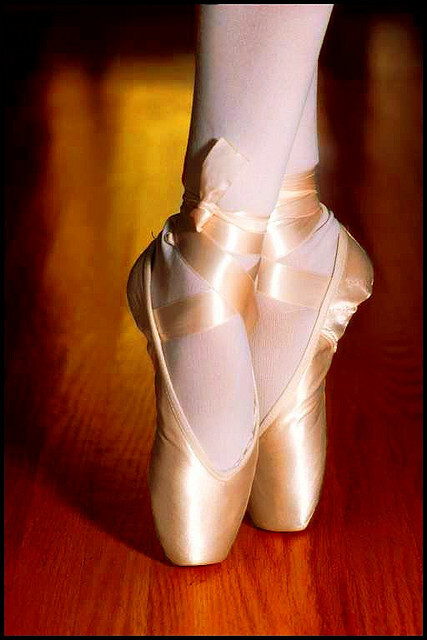 The sassy production put a spin on the classical ballets of “Giselle” and “The Nutcracker” that Pittsburgh audiences have already seen so far in PBT’s 2012-2013 season. Although rooted in classical ballet movements, the show incorporated spicy tangos and fun and flirty cancans into the choreography by Jorden Morris. The PBT dancers took on the challenge of this contemporary ballet with ease. The fast tempo choreography included countless kicks, showing off the dancers’ skill and stamina. The leads, performed by principal dancer Christine Schwaner (Nathalie) and soloist Luca Sbrizzi (Matthew), embraced the spotlight and danced beautifully together, particularly in their pas de deux to close the first act. In front of a background of Paris at sunset, the dancers gracefully and skillfully danced a classical ballet piece to the slow, soft piano notes of “Clair de Lune.” The performance was breathtaking and left the audience in silent awe before loud applause broke out to end the first half. Another audience favorite was corps de ballet dancer Joseph Parr‘s performance of Toulouse, the resident artist who trains Matthew at the Moulin Rouge. Parr, dressed in a suit with a pair of glasses, got laughs from the crowd and impressed with his performance in the comical paintbrush dueling dance with Matthew. The Benedum Center’s stage transformed from the land of the Sugar Plum Fairy into Paris with grace. The set included a beautiful lighted Eiffel Tower in the background dazzled the audience, and a large, colorfully lit windmill represented the Moulin Rouge cabaret. 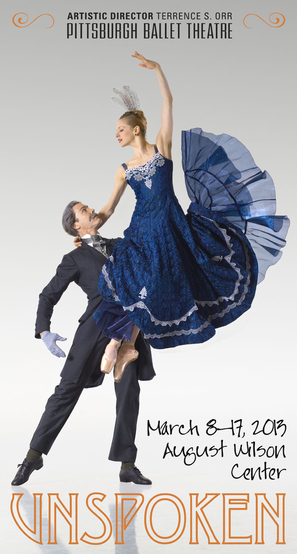 The costumes added plenty of flair to the ballet as well. The colorful skirts of the cabaret dancers gave life to the dances, with bright shades of red, purple, green, blue, and yellow filling the stage. In contrast, Nathalie’s costumes were simple, light shades of white and beige with plenty of sparkles to give her an elegant, classy look that set her apart from the rest of the dancers. 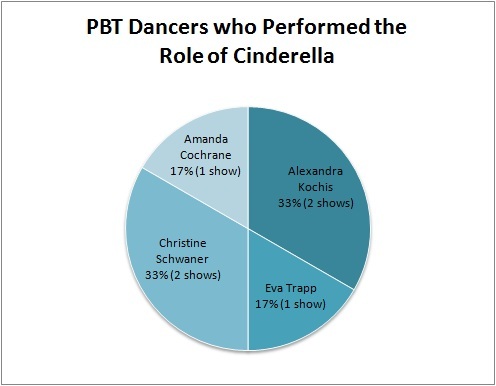 PBT lived up to its respected reputation with its premiere of “Moulin Rouge – The Ballet.” With a total of five shows in its one-weekend event (Feb. 14-17), Pittsburgh audiences are sure to get caught up in the love story and swept away to Paris for a few hours. 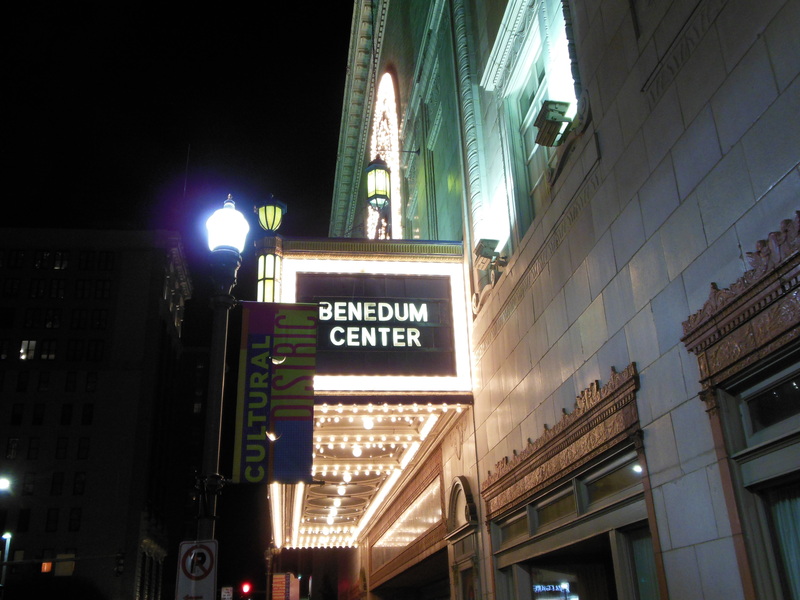 This production was covered by some other Pittsburgh media as well, including the Pittsburgh Post-Gazette, Trib Total Media, and Point Park University’s The Globe. Plus, to see some clips from the production, take a look at this WPXI story.